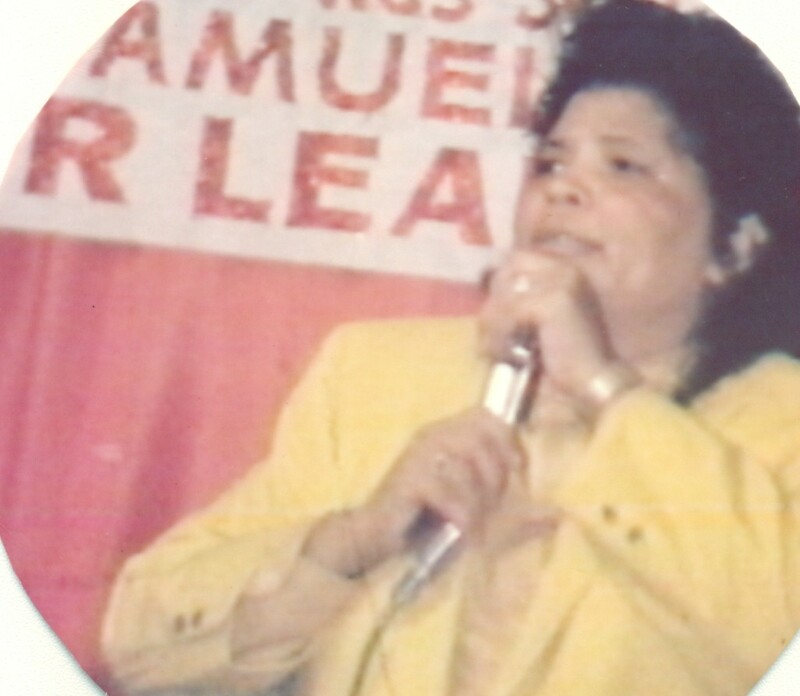 Bishop Veomia B. Samuels was one of the greatest women of God ever known. God started dealing with the Bishop at the age of seven years old. She always admired the Saints and wanted to be one when she was very young. After receiving the Holy Ghost at the age of seven, God used her mightily. The Saints would ask her to sing because she would bring down the power of God. In Jeremiah 3:15 God said he would give us pastors according to his heart, which shall feed you with knowledge and understanding. After many years Gods word came to past. He called Bishop Samuels to Leadership in 1961. She became the pastor of The Light of The World Pentecostal Church. Isaiah 35:8 says "And a highway shall be there, and a way, and it shall be called the way of Holiness; the unclean shall not pass over it; but it shall be for those: the wayfaring men, though fools, shall not err therein. She founded LWPC upon this truth and she stood steadfast on the foundation of truth without compromising with any other doctrine. No matter how hard the fight, with truth she always won. Standing on the foundation of the Apostles, she preached this truth until God called her home. There was never a famine in LWPC for the word of truth. She was a bold preacher, in season and out of season. She always gave God's people (her people) what God said to give them. If you had sin in your life the Bishop did not hesitate to sound the trumpet and tell you of your sins. She did not pat you on the back and say you're alright; you're a baby Christian. No, you had to straighten up and get right with God. When she preached, it would draw tears from your eyes. Tears of joy; if you are living right, or tears of repentance; if you were living wrong. She preached under the anointing of the Holy Ghost and with fire. God performed many signs, wonders, and miracle through Bishop Samuels. She cast out many devils during her ministry; some she commanded to talk and some she just commanded to come out. The devil could never come in and sat in her presence as God. Just as Jesus lived a Holy life teaching his disciples how to be good shepherds, Bishop Samuels did the same. She taught her women to be good wives to their husbands, faithful and strong to God as Godly women. She taught her men to be Holy men of God, good husbands to their wives, and fathers to their children. Surely she had the testimony of Jesus Christ "I do always those things that please him, (the father). The testimony of David, "A man after God's own heart." The testimony of Paul "I've fought a good fight, I have finished my course, I have kept the faith. She loved God with everything in her and taught her people to do the same.